Whew! Winter concert is over for this year! Time to breathe. This year's concert was titled "Dream BIG!" Students in 3rd, 4th and 5th grades were featured, and the program consisted of songs from Music K-8, a scarf routine to the Russian Dance from the Nutcracker, bucket drumming to the Nutcracker March, and a combination dance/drumming/chorus number. One highlight was when our principal played his guitar along with one of the bucket drumming groups! Well, as often happens when concert time gets close, rehearsal schedules had to change and I had one class that came in for a regular music class right after their dress rehearsal on the stage. They were in no mood for a music lesson and neither was I! I had them reflect on the dress rehearsal and discuss ways that each of them could help to make a great concert. After completing this reflection sheet, we watched a pre-selected YouTube videos and called it a day. BUT NOW, there is one more week of school before the holiday. It has become our tradition to spend the week after our concert watching the video of our performance and reflecting on the experience. 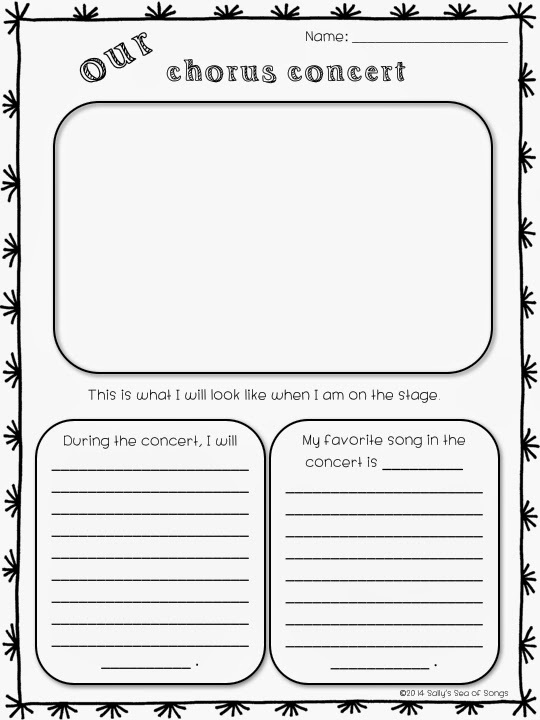 Click on the link below to download a copy of these reflection sheets! I wish you the best as you prepare and perform your own concerts this season! I am linking up with Organized Chaos for Freebie Friday CHRISTMAS Edition. 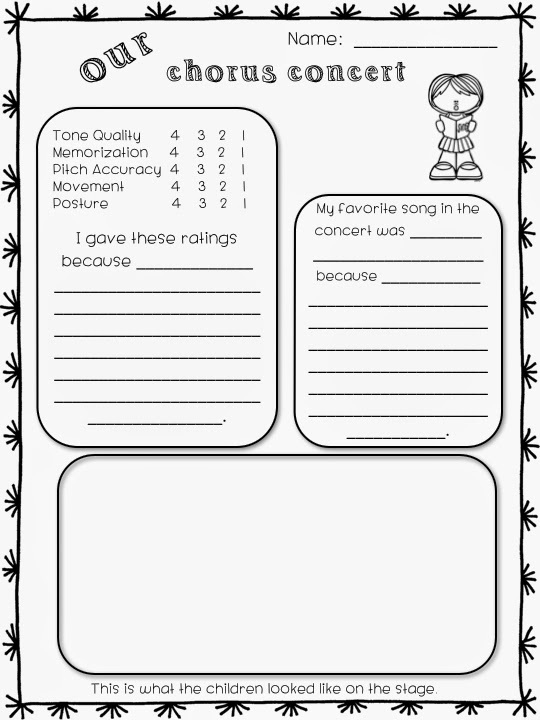 Click the picture to check out these other music teacher freebies. I love your blog and I have nominated you for a Liebster Award! See the post here. I like the way you are connecting Literacy and music activities together. I think students need reflection and to own it, share it and validate it...thanks for sharing.